Marichyasana C (and all super deep twisting postures) was a posture I didn’t ever really try to find. Thoughts about my body’s ability (or inability) to do certain things kept me in very comfortable modifications for years. 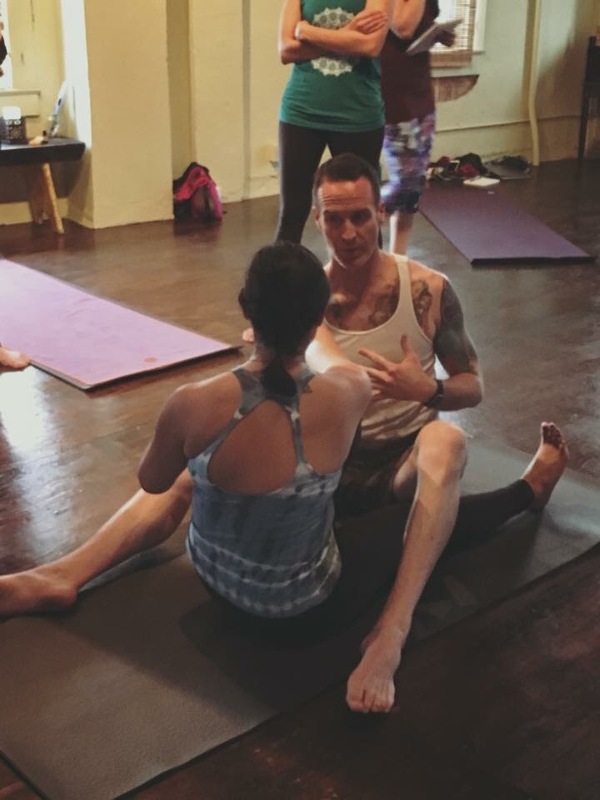 Taylor blew all of our minds yesterday with a new understanding of this beautiful practice and called me out for the words I used to describe myself before even attempting the posture with his guidance. Like a miracle that isn’t really a miracle because the potential was always there, he guided me into the full expression of this posture with ease. I felt strong, safe and fully protected the entire time. Even in jest, even in the innocence of subtle comments made in passing, pay attention to the words you use…they will create your reality. ← Ashtanga is coming to 5 Points Local!